banana blueberry muffin top muffins | is there any more pie? Posted on February 2, 2015	by is there any more pie? 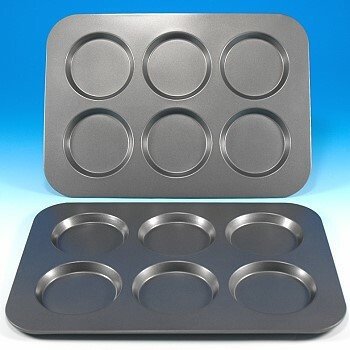 Banjo Man gave me a “muffin top” baking pan for Christmas. Having had so much success buying oddly shaped baking pans for my birthday, he thought he’d continue the roll he was on. I haven’t felt like cooking or baking or doing anything in the kitchen lately. Since Christmas (well over a month ago) I haven’t been interested in cooking. I spend a lot of time reading, playing the dobro and the lap steel, listening to new songs on Pandora, sewing and, of course, working on the new novella (due March 1st). Once in a while I scramble some eggs, slice up an apple, make a toasted cheese sandwich. Whatever is easy. My mother gave us a huge box of Omaha Steaks products for Christmas, which made life incredibly simple, too. Steaks? Yes! Twice baked potatoes? Yes!!! Apple caramel tarts? YES!!!! But on Saturday I thought I’d better cook something, anything. Banjo Man and I went to town first thing in the morning because I had an appointment to have my hair cut. I miss Great Clips, in Idaho, where I can just wander in on a whim and get a trim. But anyway….Banjo Man drove me because we doubted if there would be parking spaces, due to the Blizzard Of Last Week. Then we went to the grocery store, one I hadn’t been in for about five years. It looked beautiful, recently remodeled, and was filled with people of all shapes, ages and genders wearing New England Patriot clothing. We don’t normally go to grocery stores together, but Banjo Man promised to shop quickly and I promised to be nice, so it went well. He bought chicken tenders and I bought beans. He bought almond milk and I bought chicken broth. He bought broccoli and I bought non-prison-quality toilet paper. Separate carts is what saves our marriage. But I was talking about muffins, wasn’t I? When I came home from shopping I vowed to make something from the chicken and the beans, which I did, and will share with you tomorrow, after I reheat it today and see if I still like the texture. Because my freezer (the one on top of the fridge) was so full that black frozen bananas kept falling out every time I opened the door, I defrosted the bananas and vowed to make something. Muffins. Using the muffin top pan. I found this blog and the perfect recipe on Sally’s Baking Addiction blog. She swears these muffins are only 131 calories and super low-fat. You can read all about it and see the photos there. It’s a great blog! Preheat oven to 325F degrees. Spray muffin tins with nonstick spray. Mix the flour, baking soda, salt, and cinnamon together until combined. In another bowl, mix the honey and brown sugar together. Add the mashed banana, yogurt, and beaten egg. Slowly pour the wet ingredients into the dry ingredients. Gently begin to fold it all together. It will be very thick. Add the milk slowly and continue to gently mix the ingredients together. Fold in the blueberries. I used one muffin top pan (which made 6 muffin tops) and a pan of mini muffins. The recipe made 9 muffin tops and a dozen mini muffins. 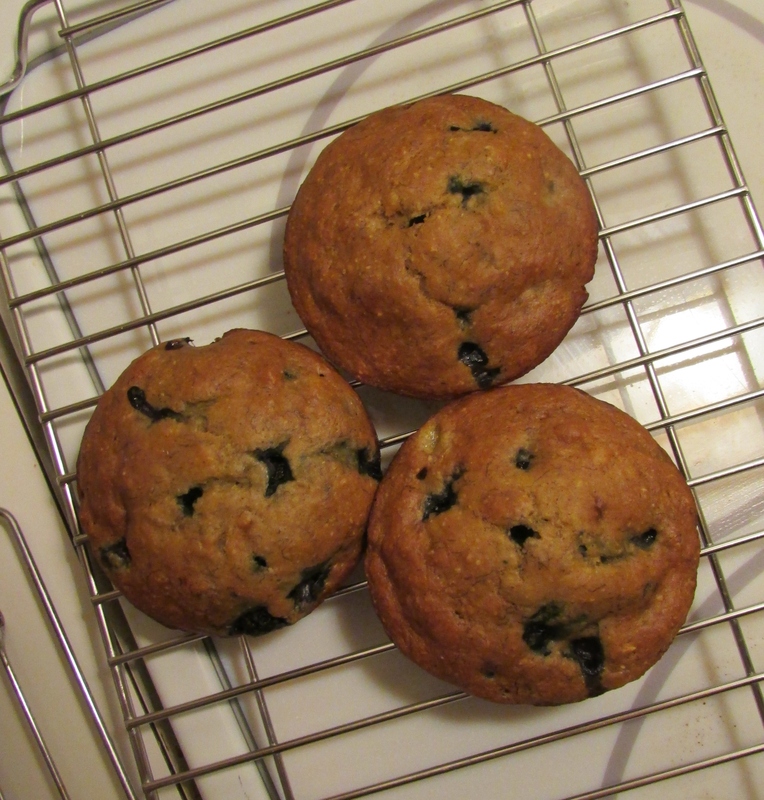 This entry was posted in food, rhode island and tagged banana blueberry muffins. Bookmark the permalink.